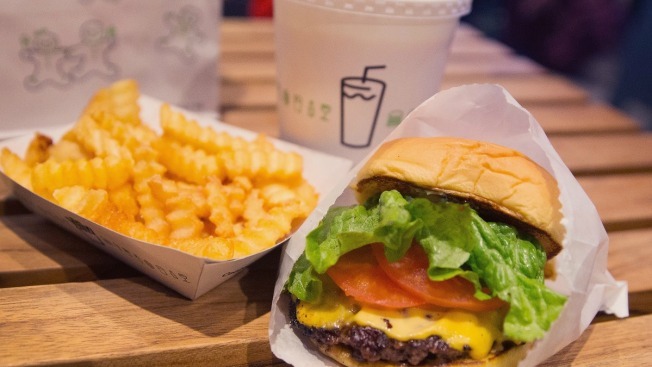 Shake Shack locations worldwide are offering free burgers to their first 100 costumers Tuesday. In celebration of its 100th chain opening, Shake Shack locations worldwide are offering free burgers to their first 100 customers Tuesday. If you’re one of the first 100 customers between 10:30 a.m. and 12 p.m., you’ll receive a free single ShackBurger. However, stadium and ballpark locations are not included in the special offer. “From our first-ever Shack in Madison Square Park twelve years ago, to so many incredible places in between, opening our 100th Shack at Boston Seaport is an epic milestone for us,” Shake Shack CEO Randy Garutti said. The company, which started out as a hot dog cart in Manhattan’s Madison Square Park, was created by Union Square Hospitality Group to support the Madison Square Park Conservancy’s first art installation. The burger joint took form in 2004, when the USHG won a bid to open a permanent kiosk in the Park. Now, Shake Shack has locations in 15 states, D.C. and international cities, including London and Tokyo.